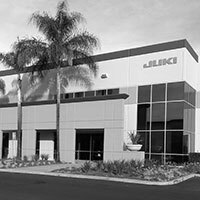 Juki’s line solutions portfolio offers a complete solution to handle every aspect of your assembly process. 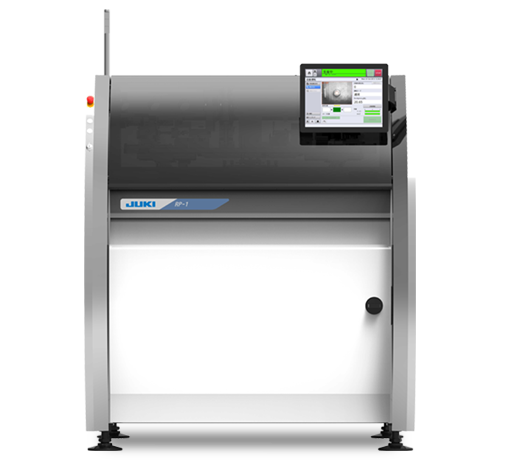 From screen printing and storage management to selective soldering and AOI/SPI systems, we have everything you need to achieve the best value and efficiency possible. 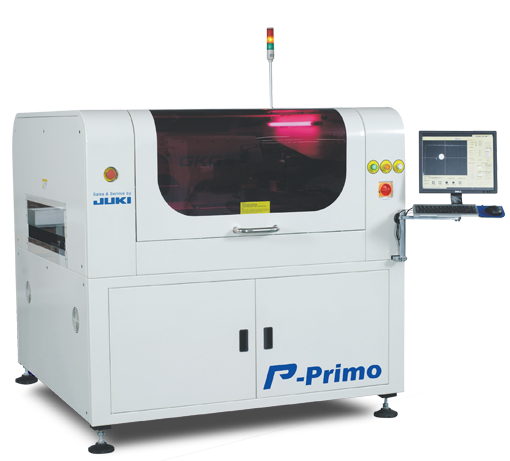 The RV-1 is a PWB visual inspection machine equipped with a "Clear Vision Capturing System" capable of high-speed and high-precision inspection. 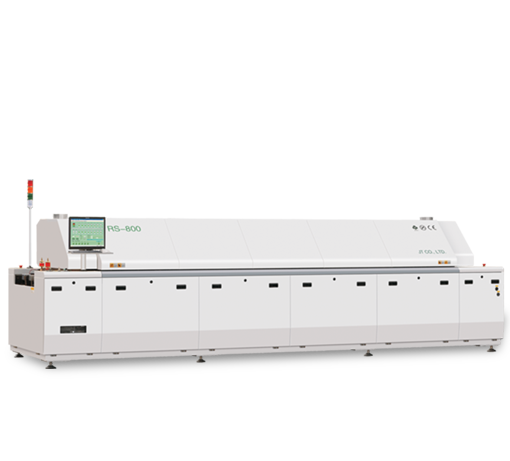 Inline type high-speed and high-precision board inspection machine that can be used in a wide variety of inspection processes. 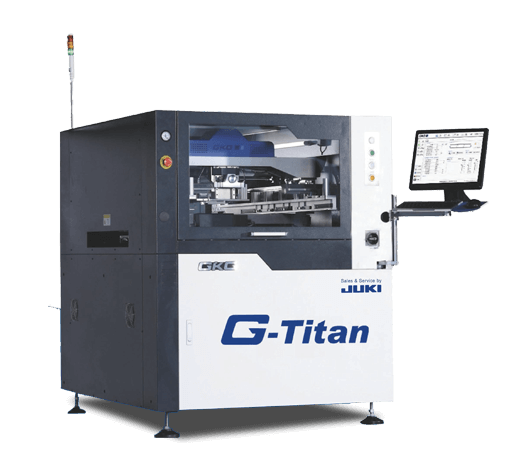 The G-Titan printer from GKG offers Opti-Paste Control (OPC), get ready for lights-out manufacturing! 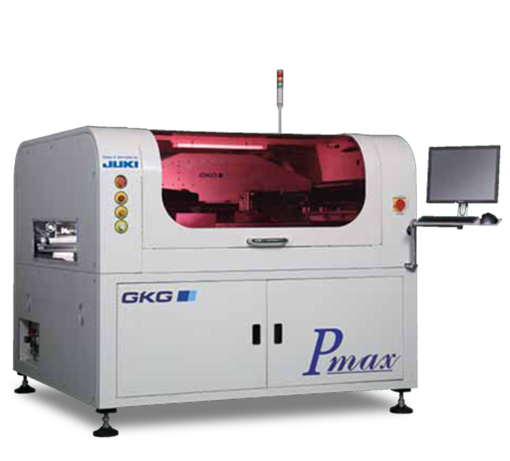 The P-Primo Large Platform SMT Screen Printer offers board handling from 100mmx65mm minimum to 850mmx610mm maximum and board thickness of 0.4~8 mm. 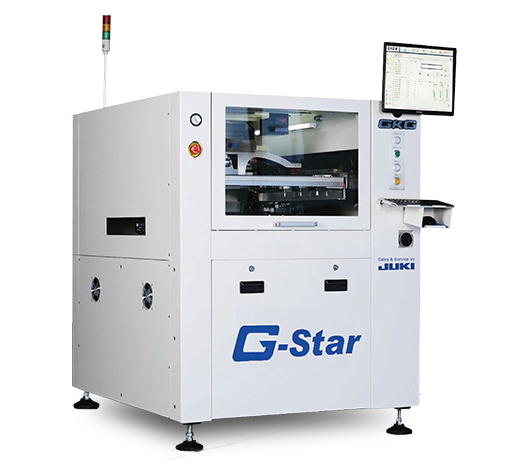 The GS printer from GKG offers a highly adaptable stencil framed clamping system, special PCB thickness adjustment table and high precision print alignment. 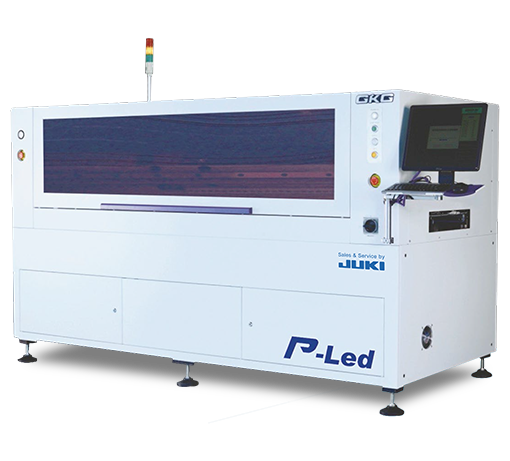 P-LED is the ideal printer that serves long LED Tube PCB up to 1.524m length. 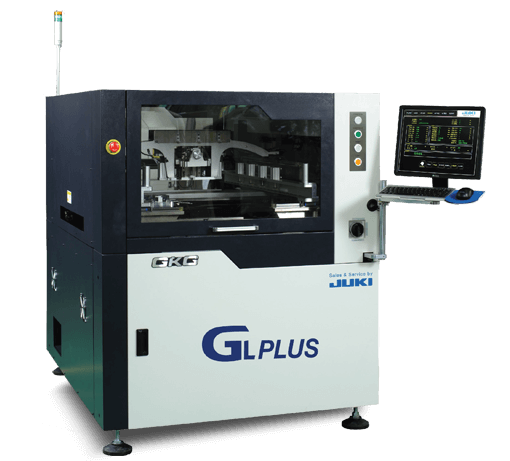 The RP-1 is a high speed and high precision solder paste printer equipped with "Motion Screen" technology that fixes printing position by moving the screen. GKG D-Sniper sets a new standard for multi-function, non-contact fluid compact dispenser. Being future proof with i4.0 ready at the lowest cost of ownership, it postulates precision with superior technology. 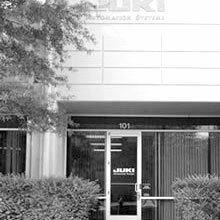 G-Star is adept at delivering all your business needs. It successfully attains 01005 miniature printing. Increase your capacity by 100% and use 20% less footprint with the ultra flexible and easy to integrate UltraFlex 3600. 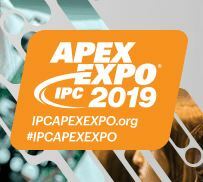 The newest and largest of the ISM family that guarantees to keep components safe while allowing for easy and intelligent management of component inventory. Specifically designed to achieve an optimum performance in regards to storage capacity and total size. Supports storage needs of the most varied types of components - up to 480 configurable positions. An intelligent static warehouse with the possiblity of configuring up to 640 different positions.